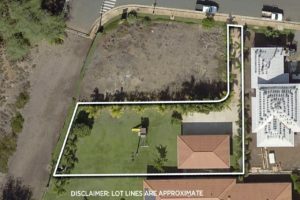 Kilohana Waena homesite #12 is our newest listing to market and represents an interesting vacant land opportunity as it is the only flag lot in the entire community and can offer extreme privacy for private buyers. From a build perspective, the lot already has a head start and will come with some neat features that will help the buyers hit the ground running. Underground utilities have already been installed, and the driveway has been poured off of Hoolapa St to access the lot. As a bonus, the lot will come with an already constructed garage and bathroom to build the rest of their dream home around. 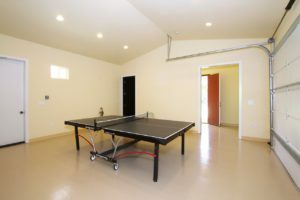 The garage is of high quality and features coated epoxy floors and solid core doors for your security and Maui lifestyle. 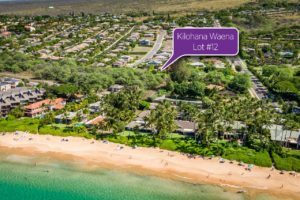 As the closest lot in Kilohana Waena to Keawakapu beach, you can literally hear the waves crash on the sand when the surf is up in South Maui. 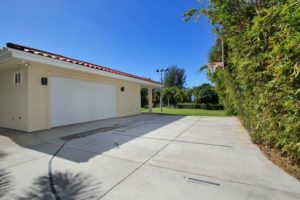 There is a unique ocean view from the lot which is normally only reserved for the lots up on the hill side in the community. 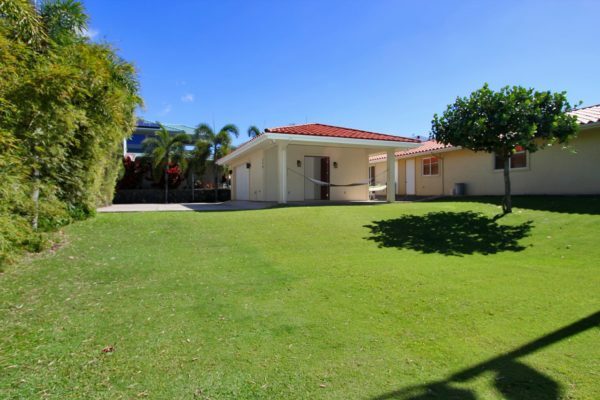 Opportune access to warm water swimming, snorkeling, kayaking, boogie boarding, and watching the Maui sunsets. Just a stone’s throw away to the world renowned Wailea Resort! 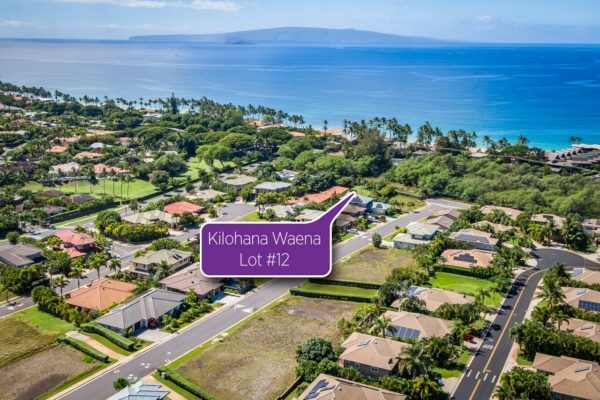 Nearby this lot are all of the best Maui amenities, including first-class restaurants, 3 championship golf courses, tennis facilities, elite shopping opportunities, and miles of white sand beaches and ocean recreation. Kilohana Waena is one of South Maui’s most desirable “ready to build” custom home subdivisions. 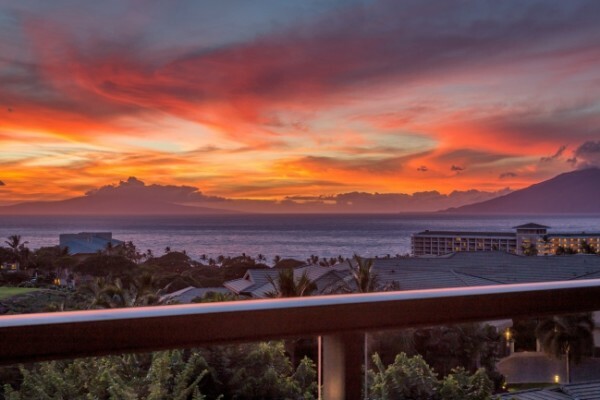 Kilohana Waena borders the Wailea Resort, which consists of The Shops at Wailea for fine and casual dining, boutique shopping, 3 championship Wailea golf courses, the Wailea tennis courts, and the BRAND NEW Wailea Town Center. Nearby are the World Renowned Wailea Resort Hotels, such as; The Grand Wailea Resort, Four Seasons, Fairmont Kea Lani and the Wailea Marriott. Kilohana Waena is just a short stroll across the street from the famous Keawakapu Beach, one of Maui’s finest! Available home sites range from 7,500 square feet to 11,700 square feet.